With the help of advance techniques and expert technicians, we are engrossed in providing Split AC more.. 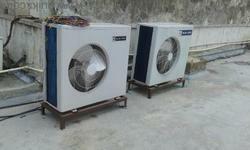 In line with clients' requirements, we are Wholesale Trading a range of Split Air Conditioner and Ductable AC Units. Additionally, we also provide AC Maintenance Service, AC Repairing Services and AC Installation Services to our precious clients.